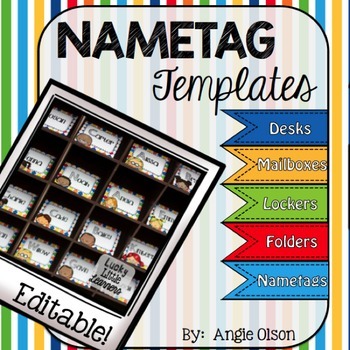 EDITABLE and completely CUSTOMIZABLE labels are key to making your classroom unique and for keeping your students organized! 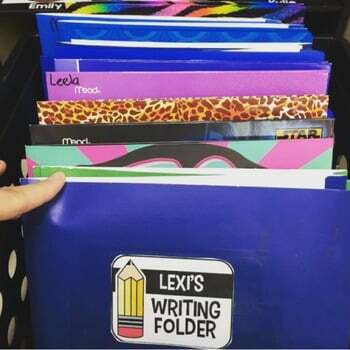 Gone are the days of students digging through their desks to find a specific notebook or folder! 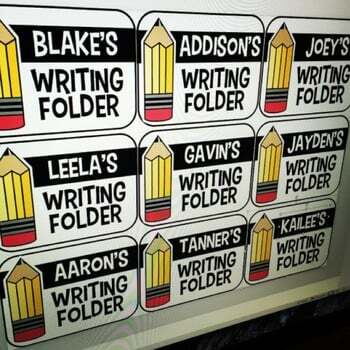 These labels will help save your students time! 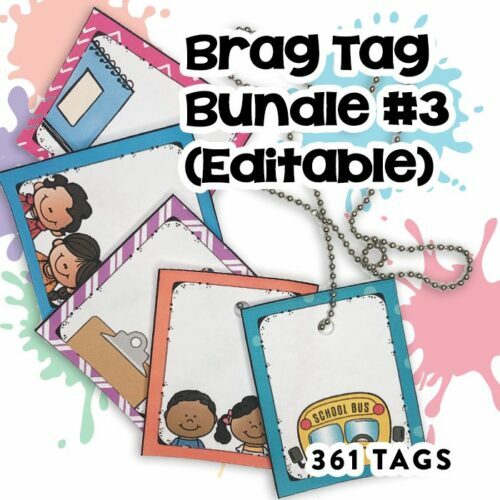 This Powerpoint product includes 32 pages of editable tags that are approximately 3 1/2 x 2 1/2 inches. 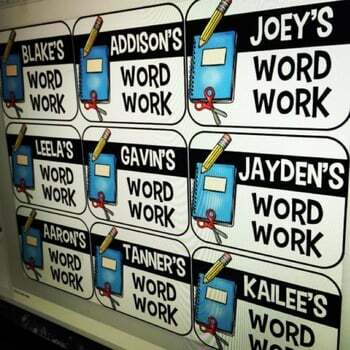 Simply add your students’ names, print, and tape them to the desired surface. 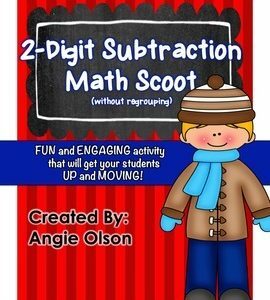 Laminate for optional durability. 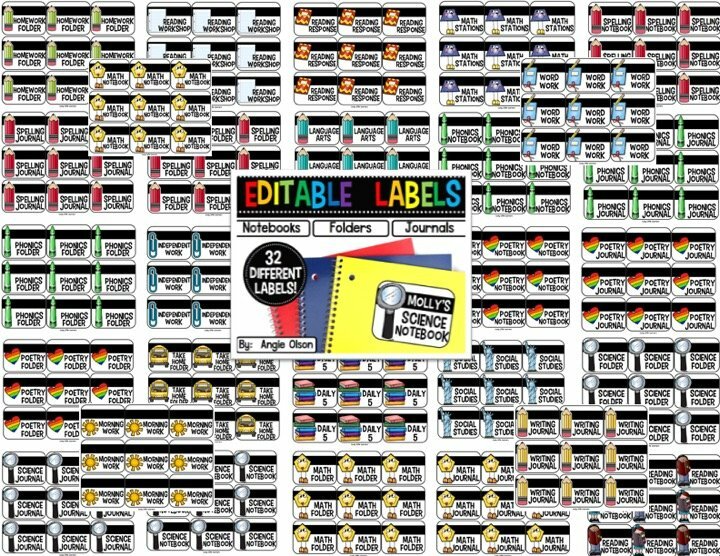 No specific printing labels needed. 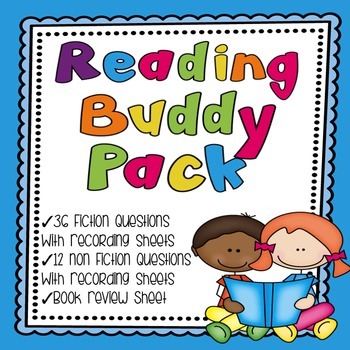 UPDATE: I have now added fully editable labels to this resource! 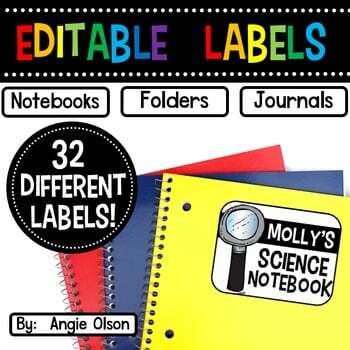 The fully editable labels allow you to edit both the name on the type of label.